Home / غير مصنف / Fortnite SEASON 7 update: Huge new map location and winter theme revealed? Fortnite SEASON 7 update: Huge new map location and winter theme revealed? Fortnite Season 7 is creeping up fast, as Season 6 enters its final few weeks. The in-game timer suggests Season 6 will end on December 5. Season 7 will follow shortly after. And fans may have stumbled on evidence of a new map location for the next season. 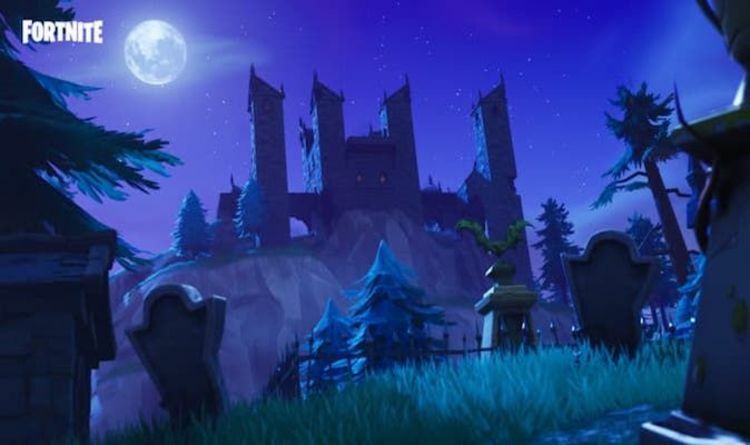 According to a new post on Reddit, a castle can be seen within one of the rifts. The image - which can be seen below - appears to contain an outline of a castle with turrets. Considering turrets are launching alongside the next update, this feels plausible. Some users have suggested that we could be getting a snowy map, which would tie in with the winter season. With Season 7 launching in time for Christmas, fans won't have to wait very long to find out more. Season 7 could coincide with the release of the gifting feature, which would fit in perfectly with Christmas. Twitter user @The1Jaren8r found brand new assets for the gifting feature, which would suggest it's coming soon. In-game screens show the four different styles of gifts that Fortnite fans will be able to send to other players. The gift boxes feature white boxes with different colour bows, although one comes in purple packaging. The news comes as Epic Games releases brand new NFL skins and items. According to Epic Games, the NFL skins can be swapped to any of the 32 National Football League teams. You'll even be able to customise the numbers that appear on the jerseys. Three male and three female NFL skins will be released, alongside referee costumes. The female variants are labelled "Blitz", "Rush", "Interceptor" and "Juke". The male equivalents are known as "End Zone", "Spike", "Strong Guard" and "Gridiron". Referee skins are also included, as Striped Soldier and Whistle Warrior join the battle.